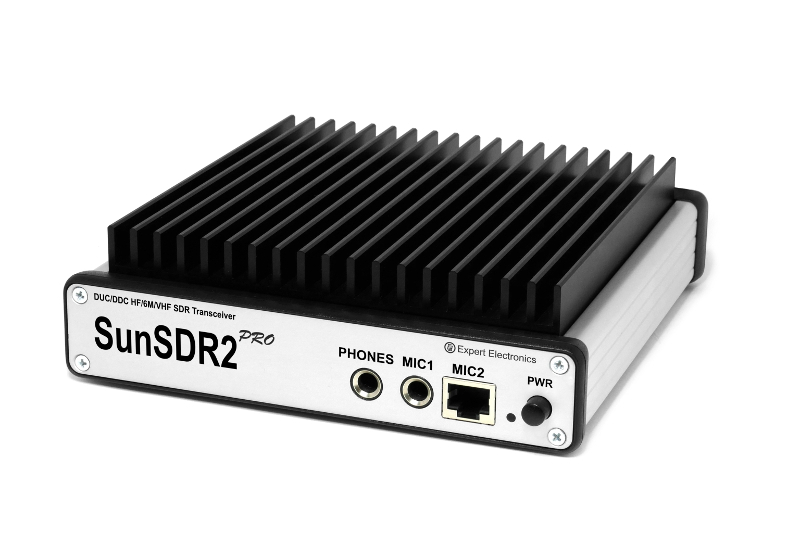 SunSDR2 PRO is a direct sampling SDR transceiver developed for serious DXing and contesting. 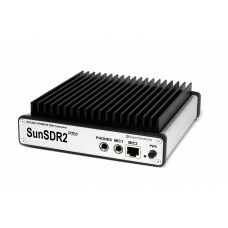 Home » SunSDR2 PRO is a direct sampling SDR transceiver developed for serious DXing and contesting. The SunSDR2 PRO transceiver is designed for advanced use in HF and VHF bands. Even the most experienced operator will be surprised by its capabilities. 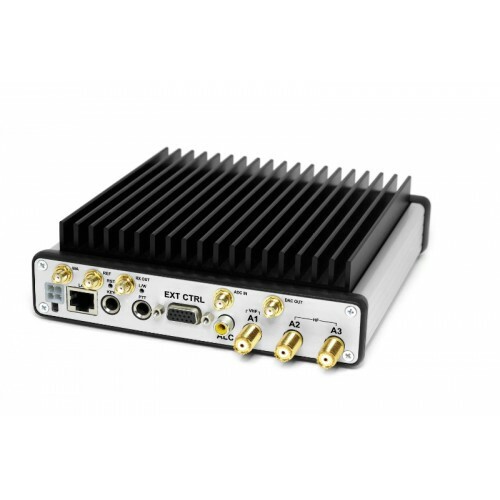 The modern hardware in a small physical size makes this high-performance SDR transceiver the perfect base station while at the same time very portable for field operations. SunSDR2 PRO has a special connector for controlling the external devices. It allows connecting to it practically any power amplifiers, rotators, narrow band pass filters, etc. With a help of this capability your place can become a professional studio for work in the air. The SunSDR2 PRO is perfect for contesting. Its powerful and flexible software lets you create custom designed station setups for many different types of contest efforts. 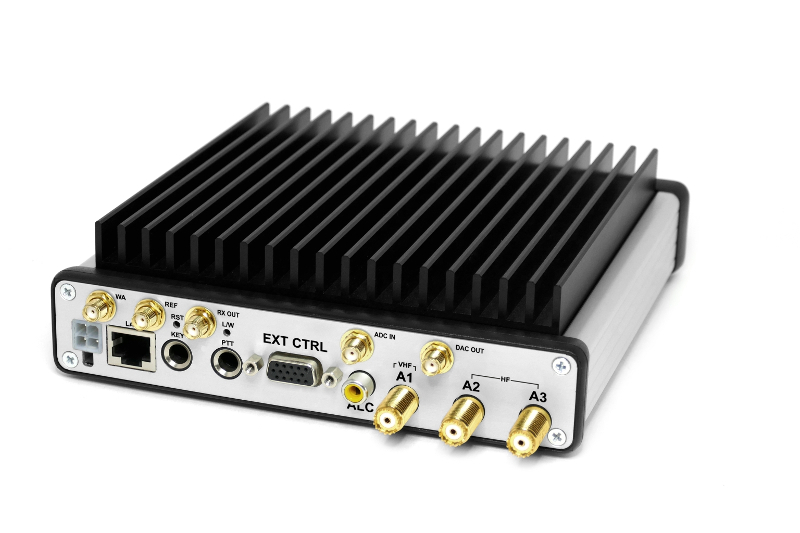 * Full duplex mode is supported by the transceiver's hardware but is not implemented in the ExpertSDR2 software. It will be supported in the future ExpertSDR2 software releases. ** ALC functionality is supported by the transceiver's hardware but is not implemented in the ExpertSDR2 software. It will be supported in the future ExpertSDR2 software releases. The ExpertSDR2 works with Windows 7-10 and Linux Ubuntu/Kubuntu. High-speed ADC LTC2209 instead of LTM9001CV-BA, as a result, the transceiver has higher dynamic range - 129...130 dB instead of 118-120 dB in SunSDR2. It allows you to work with enabled preamp +10 dB alongside strong АМ stations within the octave filters bandwidth, which is very important for 20M, 17M, 15M, with low air noise level and good propagation. The receiver is almost impossible to overload. LPFs in the power amplifier was increased to 5th order, instead of 3rd. Improved antenna switch, idle connectors shorted on the case. It eliminates crosstalk from HF antennas while working on the VHF band and vice versa. BNC antenna connectors were replaced with more reliable mini-UHF. Improved HF crosstalk protection on all connectors: PTT, CW, MIC. Added diode protection to ExtCTRL keys. Voltage output +12...+15 V now goes via 1 А fuse and polarity reversal protection on the ExtCTRL connector instead of 5 V.
Improved heatsink - it is a single detail instead of multilayer construction as before. Improved PCB board - transistors and VHF path are placed in the PCB space with the shortest outputs. Improved PCB structure, added layers from 4 to 6. And a lot of other small improvements. 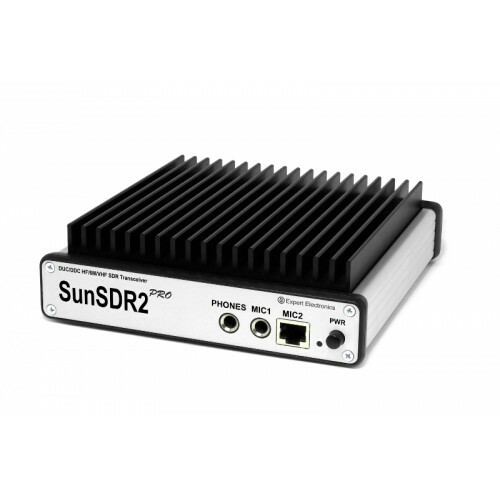 SunSDR2 PRO transceiver is optimized for mass production with improvements, which were added after 5 years of manufacturing and extensive usage of the SunSDR2. This document describes first steps with the SunSDR2 PRO transceiver. Both diagrams can be used for creating two working places with a single SunSDR2 PRO transceiver. In this document, you can find information about how to connect the SunSDR2 PRO to an external PA, fan, or relay to control the external BPF, antenna switch, etc. 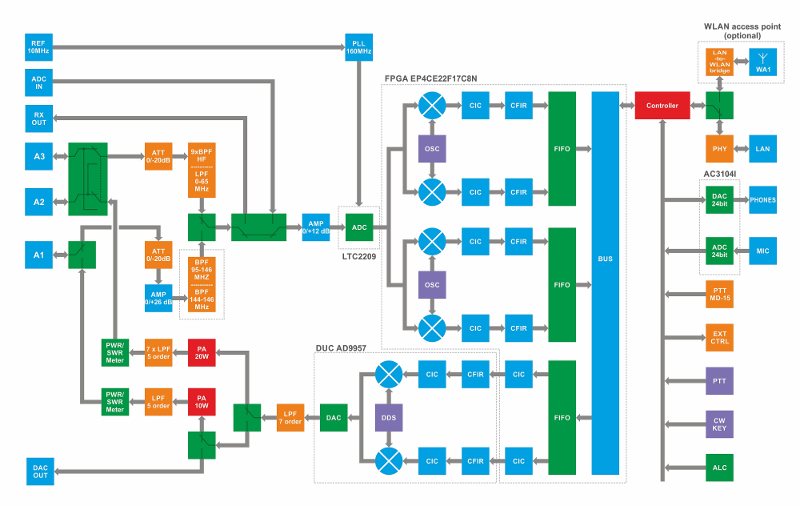 This schematic allows you to assemble your own control cable for PA VL-1000 by Yaesu. With this cable, you control PA's bands and RX/TX mode. This cable might be used for control of other devices, which works with 4-contact control protocol by Yaesu, e.g. PAs, antenna switches etc. Kydera DM-880 DMR HT Transceiver (mototrbo) Comparable with the DMR repeaters in South Africa. Kydera DCM-550H DMR UHF Mobile Transceiver 25WL and 50W H (mototrbo) Comparable with the DMR repeaters in South Africa.